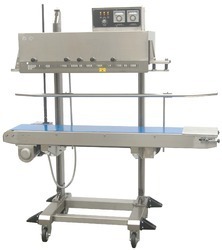 Our product range includes a wide range of continuous band sealer, heavy duty continuous band sealer, hand impulse sealer, pouch sealing machine, cup sealer and wide conveyor vertical continuous band sealer. 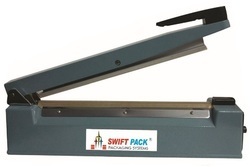 SPCS 1100 Heavy Duty Continuous Band Sealer is specially designed to seal bags made from thick film. Model SPCS 1100 is especially can be used in the production line. For sealing packages that weigh under 5kgs, 10kgs & 20kgs respectively. We Shri Vinayak Packaging Machines Pvt. Ltd. are known as the best Manufacturer, Exporter of Hand Impulse Sealer. This sealing machine is used to seal the product's packaging and thermoplastic material with the help of heat application. We are reckoned in the market as a quality oriented firm only quality approved Hand Impulse Sealer Machine to the clients. It is designed from the high-grade material such as stainless steel, carbon allows, and others, as per the global quality standards. Our fully fledged quality control lab enables us to ensure a high-quality level of Impulse Sealer Machine. Our experienced team of quality controllers tests the sealing machinery on varied factors to ensure to provide the clients with an error free range. These products are strictly tested for durability, endurance level, sturdiness, resistant to heat and pressure, rust proof. 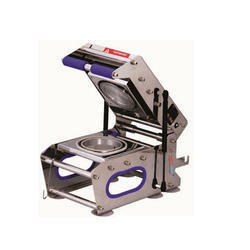 Pouch Sealing Machine is extremely tough, consumes energy and has high sealing speed. In addition, this sealing machinery is very easy to install and maintain. Our equipment is used in various sectors such as printing, sugar, textile, paper mills and others. These are designed for high technology and latest machines and tools as per the international quality norms. Backed with fully fledged fabrication plant, we have been persistently meeting the demands of band sealers. We have a team of highly competent and experienced professionals having vast expertise in the domain of sealing equipment. With their skills, talent, and dedication, we are meeting the needs of our clients. 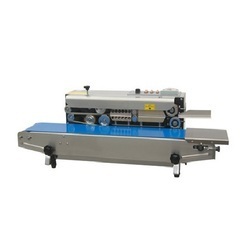 Our ranges of this Cup Sealer are easy to operate, energy efficient and cost effective. They are available in different models to meet diverse applications. These sealers are designed simply so as to give the elegant look and more over, these are very easy to operate. Our ranges of these are available in various specifications and can be custom made as per the client''s demand. These are highly demanded the features like low-maintenance and compact designs. Clients can avail these at affordable prices. We are offering Wide Conveyor Vertical Continuous Band Sealer to our client. 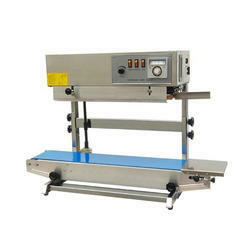 We are offering Wide Conveyor Horizontal Continuous Band Sealer to our client.